Five For Friday! It's my DAY OFF! Well, what a week it was this week. I'm excited to link up with DoodleBugs Teaching for Five For Friday! It's been a little while! Does anyone else just lay everything out on the dirty floor after school to get everything ready? Dirty doesn't scare me. Germs don't scare me. I work with 6 year olds. It's going to be germy and dirty. No shame. Conferences were a little different this year than they normally are. We used to have conferences on Wednesday and Thursday. The kids would get out of school at 1:20 and conferences would begin at 1:45. We would go until about 4:30 on Wednesdays and 7ish on Thursdays. We still had school on the following Friday, but we would get out at 12:20. Fridays were rough and no learning was really accomplished on those days to be honest with you. This time, conferences were on Tuesday and Thursday. The kids got out of school at normal time (3:20). Conferences started at 4:00, some teachers had conferences before then. We went on both nights until 7ish. Some went later, some were finished earlier. I finished at 7 both nights, which was difficult Tuesday since the ROYALS WERE PLAYING IN THE WORLD SERIES. What? Yes! Anyway, we have today off this year! It's pretty wonderful. Did I mention that our conferences were student led? It was our first time doing student led conferences and honestly, I could not be more proud of my firsties. I will blog more about it this week over at The Primary Pack (on Tuesday)! But, here's a little sneak peek of some things we used. 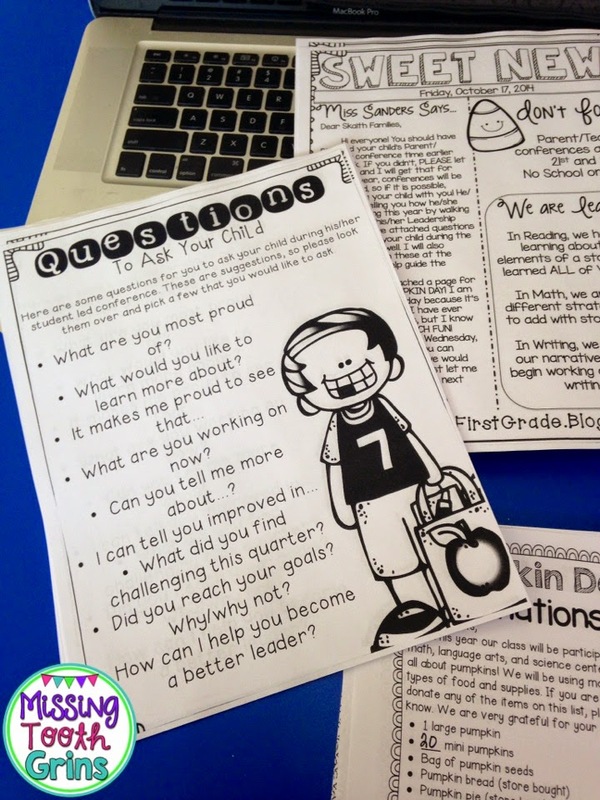 You'll be able to read my whole post about Student Led Conferences at The Primary Pack on Tuesday. I will also be uploading a whole pack that will lead you through the process! I'm very excited about it! It helped me so much! Seriously, student led conferences ROCK. And did I mention the ROYALS are in the World Series? Seriously, I can't get over it. I'm sure I've completely driven my Instagram followers crazy with the numerous Royals pictures I post. But... You guys, they haven't been in the postseason, let alone THE WORLD SERIES, in 29 years. So, we are excited here in Kansas City! 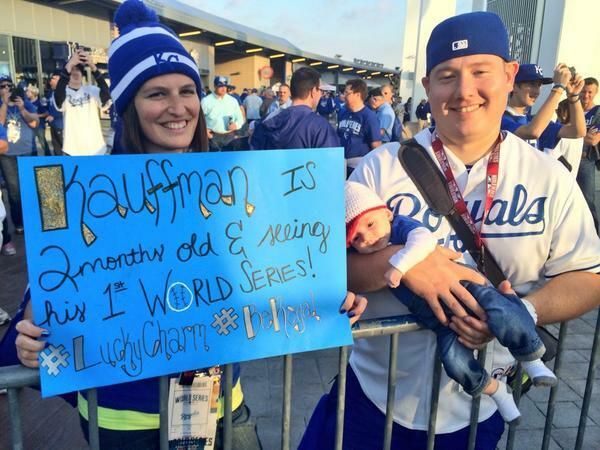 You might've even spotted my best friend, her hubby, and their adorable baby Kauffman on Fox Sports. This picture truly makes my heart so happy! They were also in a Sports Illustrated article. So weird. But, so awesome! 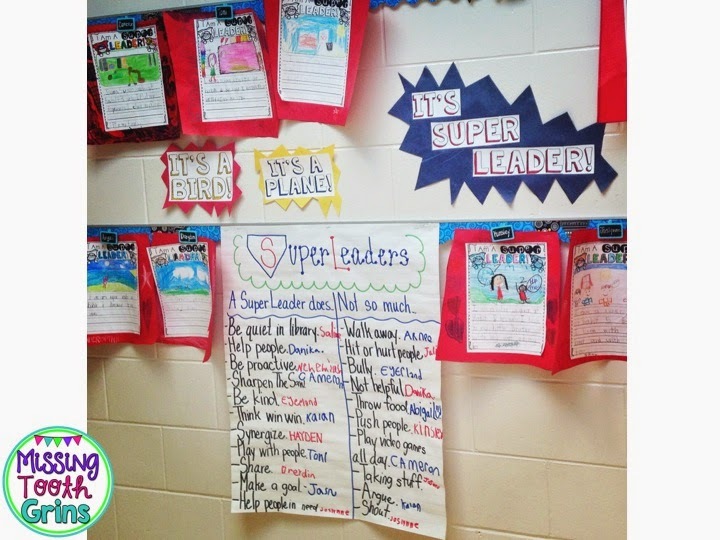 My kids learned about being Super Leaders this week! First, we discussed the 7 habits (we are a Leader In Me school). 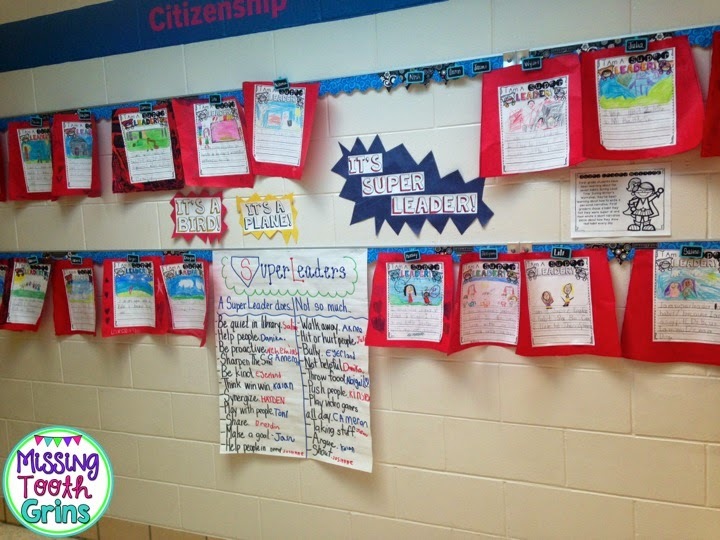 Then, we created an anchor chart with what Super Leaders do and what they "eh not so much do" (that's how we worded it when talking about it... Eh... Not so much...). 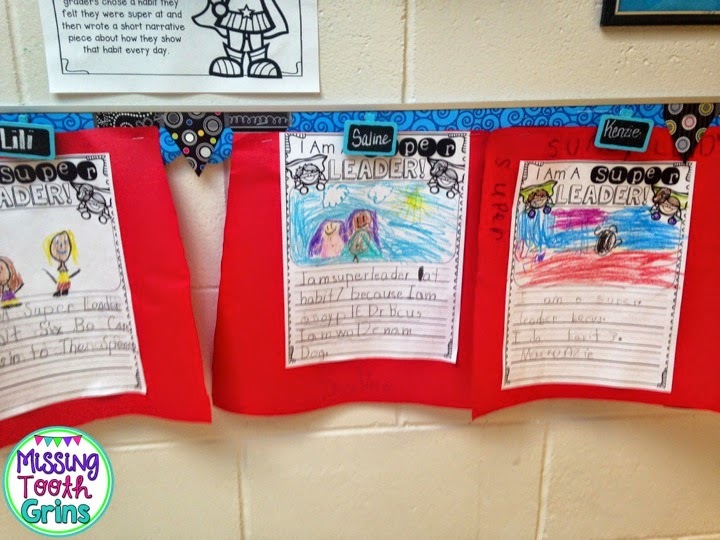 Then, they wrote about what habit they are a super leader at! It made for a pretty great hall display! Look at all these Super Leaders! 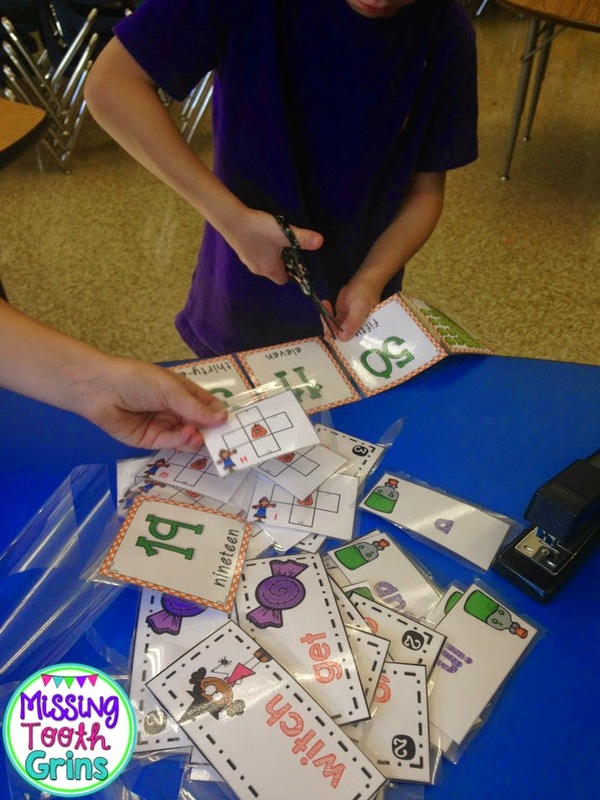 They are cutting out activities from my Halloween Centers. 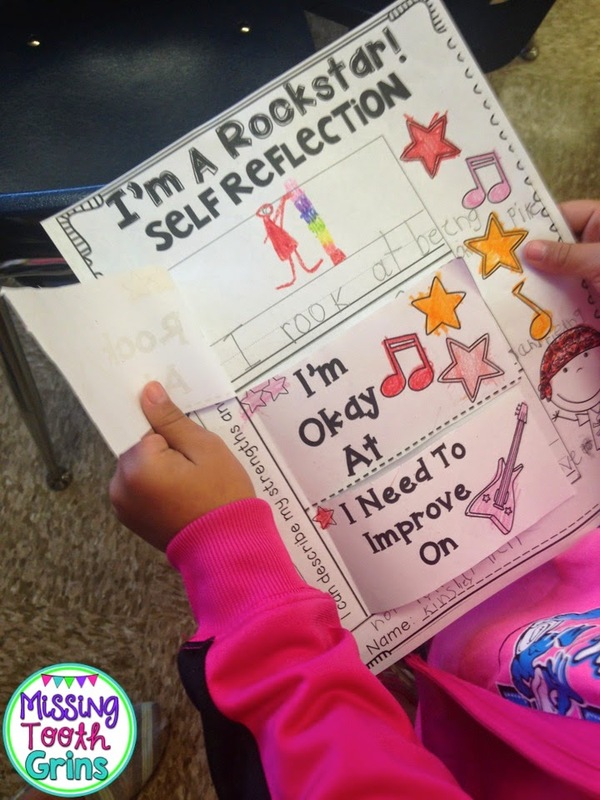 I LOVE that you're doing self-reflection with your 6-year-olds! It must make them feel so empowered in the classroom! :) Isn't it great to be finished with parent conferences for a while? 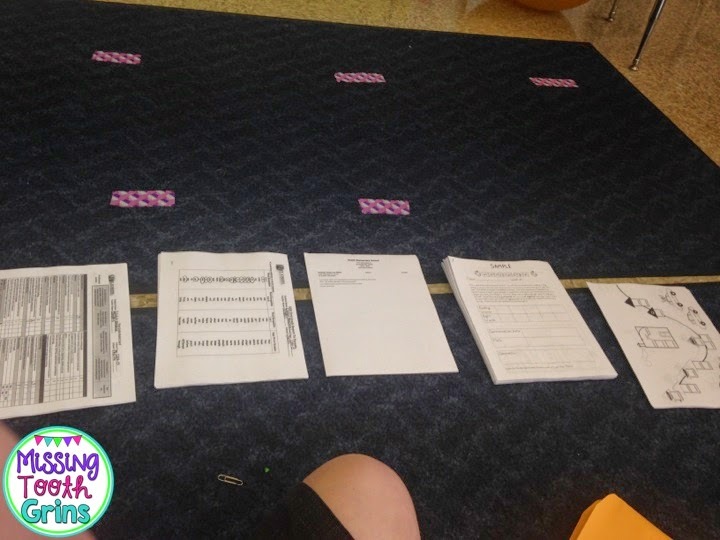 I am also one that lays everything on the dirty floor to get my packets ready! So happy to find a fellow floor sitter! We had conferences this week too, but they were just normal teacher led conferences. 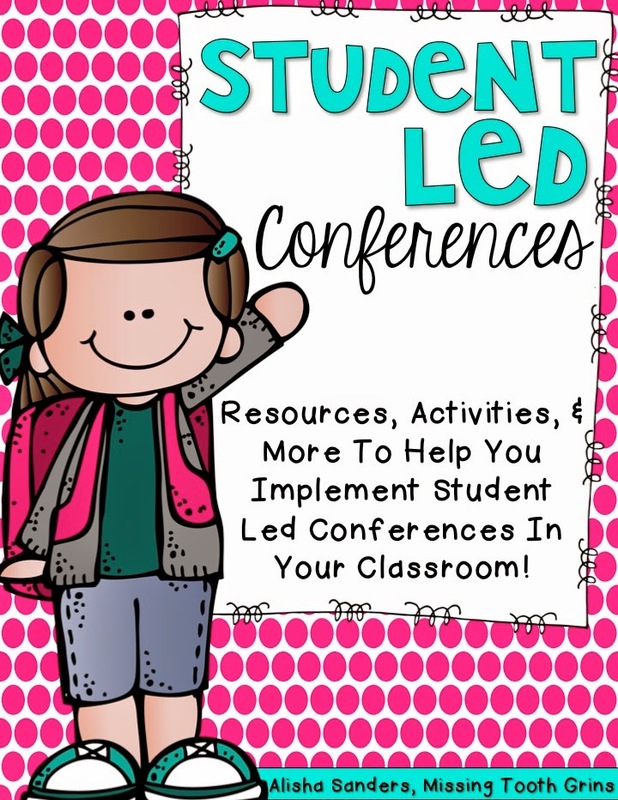 Looking forward to hearing more about your student led conferences! Sunday Savings With Math Journals!